These are indeed desperate times for TV5. It has been over a month since the Kapatid network ‘demolished’ (for the lack of a better term) almost its entire programming lineup in favor of unlimited ‘foreignoy’ movies and home shopping blocks. And while their decision may seem ridiculous, they were essentially preparing this demolition job for one particular event. Enter the 2016 Rio Olympics. The Summer Olympics in Rio will be the fourth such event for TV5, following the 2012 Summer Olympics in London, the 2014 Winter Olympics in Sochi, and the 2014 Youth Olympics in Nanjing. As early as now, TV5 is going all out, because as far as they were concerned, this could be their last chance to prove their worth as a force in Philippine sports. At first, MVP collaborated with IBC-13 for a blocktime deal that became AKTV. But when cash flow problems surfaced, he ended the blocktime agreement and was forced to utilize both TV5 and AksyonTV for their sports coverage. Unfortunately for TV5, they encountered greater problems in handling such coverage. As a result, their entertainment programming was extremely compromised, while news programs on AksyonTV gradually eroded to the point that they were either cancelled or preempted. Although the network managed to take advantage of the all-sports channel HYPER on its Cignal subscription service, it is clear that Sports5’s problems are becoming increasingly hard to overcome. Which leads to 2016, the year where the network’s contracts with the PBA, Olympics and the UFL are up for either renewal or expiration. Considering these irreparable problems, the smart choice of action for TV5 at this point is to not renew their contracts with the said events. But with other networks enduring a variety of obstacles themselves, and with ABS-CBN Sports all too loaded to commit for more events, all signs point to a reluctant renewal. So what’s next for Sports5? No one knows, but for the next several months, their busy schedule will be an evaluation process to see if they still have what it takes to be a big-time player in Philippine sports. Create an all-sports DTT channel perhaps so TV5 can go back to entertainment and Aksyon back to news? I don’t think they’ll do that. They already have HYPER for sports on Cignal so no need for an all-sports DTT channel. Not to mention that sports are for niche audiences only, thus they can’t be viable on DTT. MVP being an avid sports fan has proven to have immediate effects on TV5’s well-being. Exactly. 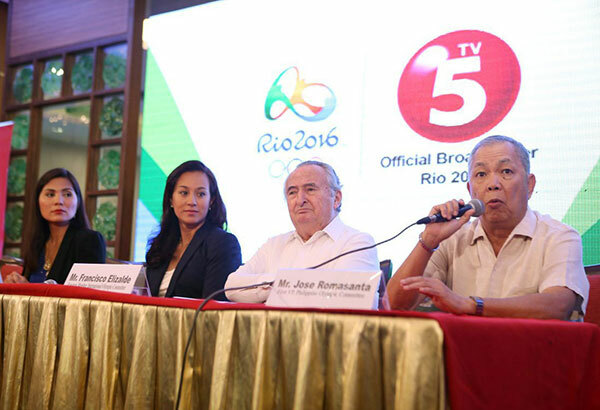 Sporting events are big business, and with the way he overpaid for the Olympic rights, the PBA and the other events, it became a consequence to TV5’s other departments. As this being the final year of the PBA and Olympic contracts, I expect him to apologize to management for emptying the coffers too soon.